Offering great energy savings thanks to the low 6-litre water consumption, this integrated dishwasher also offers flexible loading thanks to the additional third cutlery tray at the top. Quiet as a whisper, the low noise level of just 45dB is perfect for open plan homes. You can save money on your water bills with a low water consumption dishwasher, which only uses 6 litres to wash a full load of 13 place settings. Save money on your energy bills with this dishwasher's high A++ energy rating - making it up to 20% more energy efficient than A rated models. 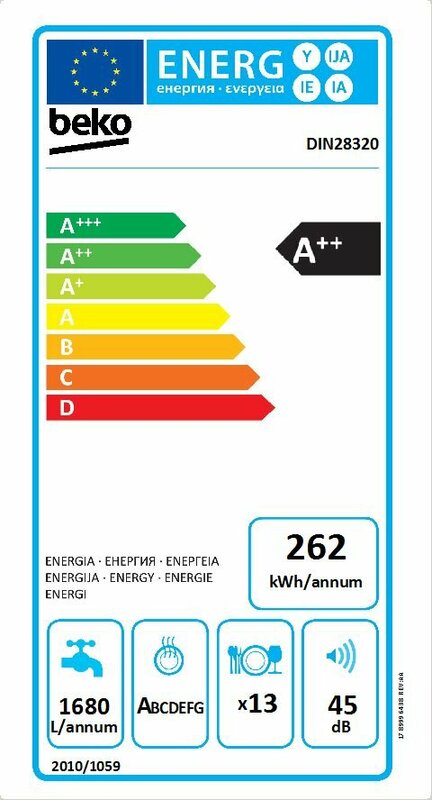 The DIN28320 comes with a 1 year guarantee as standard. You must register your appliance within 90 days of purchase and we will extend your guarantee to 2 years free of charge.